Every year, around the same time, the entirety of the Western population is subjected to the same propaganda surrounding the prevalence of the flu and its alleged severity. The problem, we are told, is that the flu is everywhere and that it is extremely deadly. The answer, of course, is always the same – the flu vaccine. 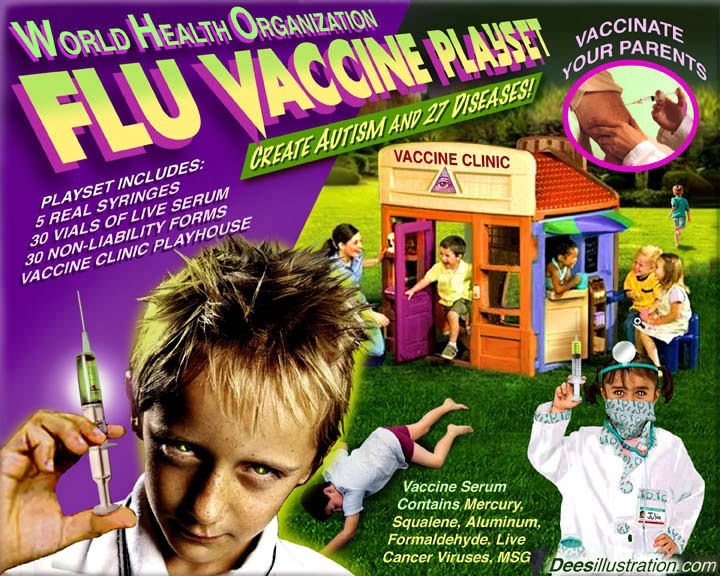 Implicit in the propaganda is the belief that flu vaccines prevent the contraction of the virus and that, if one submits to vaccination, you will subsequently be immune to the flu. However, as I have demonstrated in my article, “The Antibody Deception,” there is no evidence to support the claim that vaccines are even effective, since immunization is measured by titer testing, an imprecise and inaccurate method of measuring immunity. In addition, in the article “The Influenza Deception,” I demonstrate how the levels of prevalence of the influenza virus repeated ad nauseum to the American public are nothing more than propaganda. Even more so, the flu is not only much more rare than we are lead to believe but it is also much less deadly. Still, the medical and pharmaceutical industries insist upon the effectiveness of vaccinations regardless of whether or not the flu itself is a major threat and despite the fact that there is no accurate way to measure immunity and vaccine success. These industries push flu vaccination as if they have undeniable proof that the toxic injections actually work. However, when taking a closer look at flu vaccines, the evidence justifying their use appears even weaker than one may have previously thought.